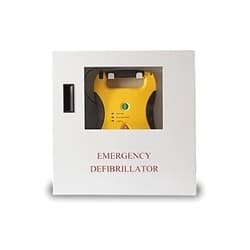 Increase visibility and ease of access for your defibrillator with this Defibtech AED Wall Mount. 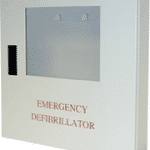 This wall mount is a cabinet that makes it possible to adhere your Lifeline AED to a wall. Adds protection from theft or damage. A loud alarm will sound when the cabinet is opened. 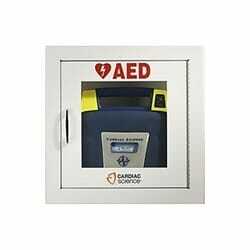 Protecting your AED is essential to ensuring it’s ready to go when an emergency occurs. 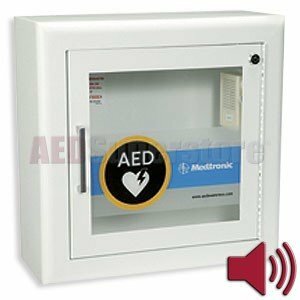 With this AED wall mount cabinet from In-Pulse CPR, your AED will be easier to find, while staying protected from theft or damage. Whenever the cabinet door is opened, an alarm will sound and alert to you that something’s wrong. 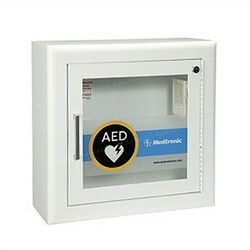 Additionally, this AED wall mount is a perfect place to safely store your Defibtech Lifeline AED. Order yours today from In-Pulse CPR!